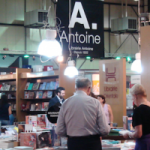 This year’s guest of honor of the Turin book fair was Egypt. 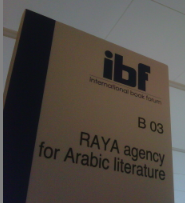 At this occasion, and in light of Beirut World Book Capital 2009, several Italian houses publishing Arab authors had invited them. From RAYA agency, authors Najwa Barakat, published by Epoché for her book Ya Salam, and Jabbour Douaihy, to be published by Feltrinelli, for his book June rain, took part to highly attended literary encounters.